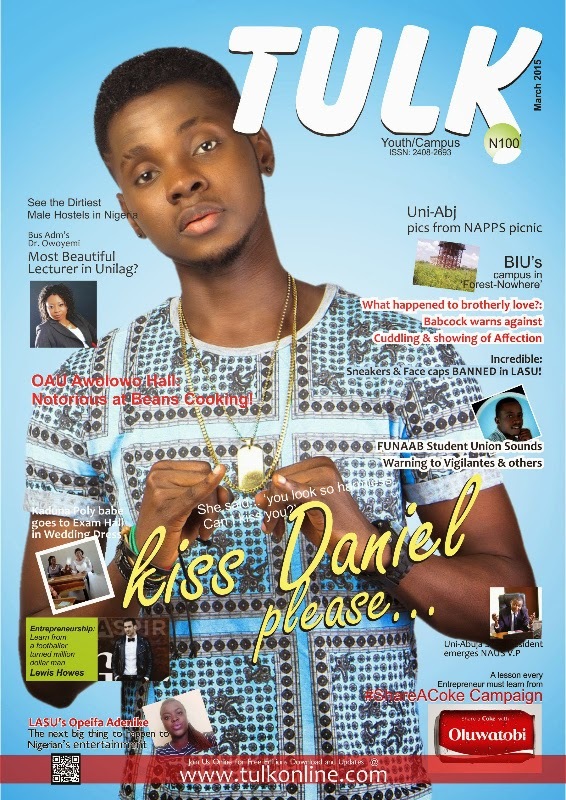 WOJU2TULK......as woju crooner rocks the front page of the march edition of viral campus magazine TULK, we take a look at the origin of his pseudonym. It isn't news that the charming young man has all the female attention, and with an exclusive with TULK magazine, he admitted he has always been a ladies man! "Back then in my university days, i used to get alot of friends..girls especially, they would drive me around campuses and reserve seats for me for lectures....it happened on this day, a pretty girl walked up to me and said i looked cute and harmless and she wanted to kiss me. The name stuck and it was used to differentiate me from other Daniels on campus".